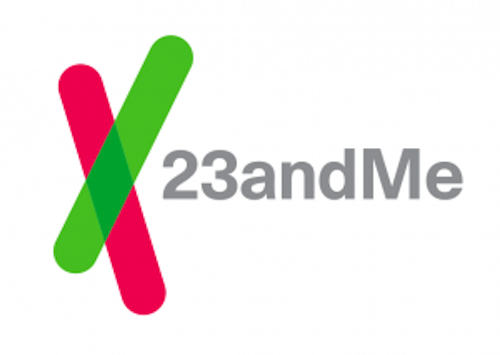 In a big shift of focus, the personal genomics company 23andMe recently announced the creation of a new therapeutics group with the intention of developing new therapies for both common and rare diseases. 23andMe, the Google-backed genetic testing startup that sells a $99 DNA saliva test, will expand from screening people for disease risk to developing new therapies to treat them. Along with the announcement, 23andMe has appointed Richard Scheller, Ph.D., recently retired from Genentech, Chief Science Officer and Head of Therapeutics, and bioinformatics pioneer Robert Gentleman, Ph.D., as Vice President of Computational Biology. Dr. Scheller retired in December 2014 from a distinguished 14 year career as an executive at Genentech where he was the Executive Vice President of Research and Early Development. At Genentech, Dr. Scheller led the company’s research strategy, drug discovery, business development, and early drug development activities through proof of concept in the clinic. Proof-of-concept clinical trials are carefully designed to establish the safety of drug candidates in patients and explore the relationship between the dose and desired activity. Dr. Scheller also served on the faculty of Stanford University for 19 years as a professor in the Department of Biological Sciences and the Department of Molecular and Cellular Physiology and was an investigator at the Howard Hughes Medical Institute of Stanford University Medical Center. In 2013, Dr. Scheller received the prestigious Albert Lasker Basic Medical Research Award for discoveries concerning the molecular machinery and regulatory mechanism that underlie the rapid release of neurotransmitters. At 23andMe, Dr. Scheller will help build a dedicated research and development team with the aim of using human genetic data as the starting point for identifying new therapies for both common and rare diseases. I have dedicated my life to research aimed at fulfilling unmet needs for very sick people. I believe that human genetics has a very important role to play in finding new treatments for disease. I am excited about the potential for what may be possible through 23andMe’s database. It is unlike any other. Dr. Gentleman most recently served as Senior Director of Bioinformatics and Computational Biology at Genentech. His career spans more than 30 years, including Head of the Computational Biology Department at the Fred Hutchinson Cancer Research Center, and professor at several institutions: Harvard University, the University of Auckland, and the University of Waterloo. During his tenure at Harvard, Dr. Gentleman founded the Bioconductor Project, an open source, open development software project to provide tools for the analysis and comprehension of high-throughput genomic data. Dr. Gentleman, together with Ross Ihaka at the University of Auckland, is also recognized as one of the originators of the R programming language, a widely-used programming language software environment for statistical computing and graphics. At 23andMe, Dr. Gentleman will focus on the exploration of how the human genetic and trait data in the 23andMe database can be used to identify new therapies for disease. My hope is that my experience can help bring better treatments to market fast for the patients who need them most. I’m excited to have the opportunity to work with the 23andMe community so we can together find these great cures. It is the commitment of the active 23andMe research community that enables this potentially groundbreaking venture. According to 23andMe, the creation of a therapeutics group in connection with 23andMe’s research platform, which is currently the world’s largest consented, re-contactable database, is a significant step forward to better understanding the biological mechanisms of disease and accelerating the discovery of novel treatments through human genetics. 23andMe to Create Therapeutics Group, Appoints Scientific Luminary, R&D Executive Richard Scheller, Ph.D. to Lead. 23andMe press release. 2015 Mar 12. Bioinformatics Pioneer Robert Gentleman, Ph.D., Joins 23andMe Leadership Team. 23andMe press release. 2015 Apr 2.